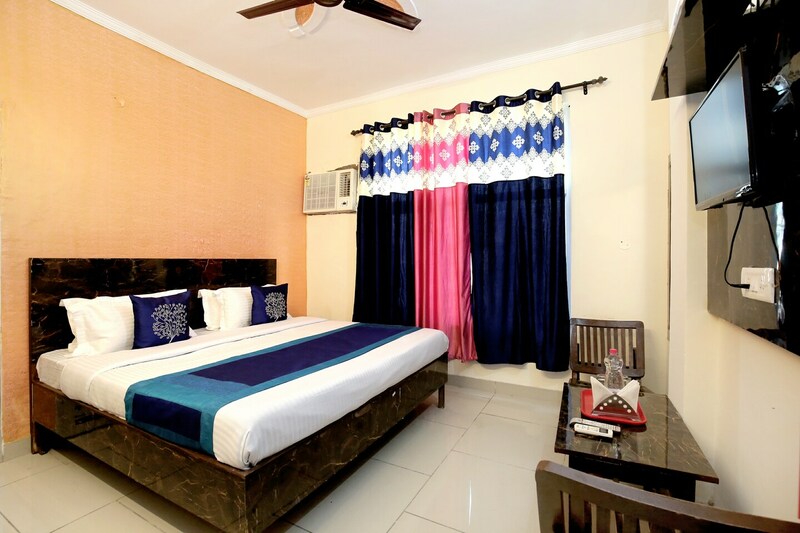 With lovely interiors and appealing furniture, Hotel Pink City guarantees you a comfortable and convenient stay. The reception heartily welcomes you with bright painted walls. The rooms have pretty interior designing with round beds, upholstered headboards, nice textured walls, and bright curtains. These rooms are fully furnished with all essential amenities that are well-suited to all guests. They are super clean, spacious and brightly lit. The bathrooms are also neat and clean and well-maintained along with a geyser for chilly weather. In addition to this, the hotel provides other facilities like parking facility, laundry service, free Wi-Fi and CCTV cameras.